MACC Development executive director, Ezekiel Harris graduated with a political science degree in three years at University of Michigan. Harris found himself coming to the metropolis south of his hometown, Flint, in 2014 and served as a fellow with Challenge Detroit for nearly two years. "I did a lot of leadership development through different projects where I was able to consult with different nonprofits across the city." Carlsen, who grew up near New York City, came to Detroit from Chicago for personal reasons after starting a banking career in the Windy City. She used a paid fellowship with Challenge Detroit to make the career transition from banking to her current job in community development. Alumni Fellow Kristen Davis writes about the Manistique Community Treehouse Center, a space where those who are considered special needs could learn in a different way — a space where everyone, both with and without disabilities, would be free of judgement to be themselves. Dearborn resident and Challenge Detroit Fellow Tina Saad thinks of the bigger picture on helping different neighborhoods in Detroit. A 2010 Hempstead High School graduate has been invited to participate in an ongoing challenge to revitalize one of the country’s most economically downtrodden communities. Dubuque native Kenzie Kramer has been selected for the Challenge Detroit fellowship, a yearlong commitment to bettering Michigan’s famed Motor City. It was roughly one year ago when I returned to the city to interview for the Challenge Detroit fellowship. While I am a native of Detroit, it had been 10 years since I had lived full time in Detroit, spending four years in upstate New York for university and an additional six years working in web and digital communications in New York City. Executive Director Deirdre Groves and Fellow Brandi Davie shared about the Challenge Detroit experience and the current call for applications. My connection to Detroit and my passion for community development inspired me to apply to Challenge Detroit. After graduating from the University of Michigan with my Master of Social Work, I knew I wanted to get back to my hometown and give back in some capacity. It’s Giving Tuesday, a day which amplifies the message of supporting local, national, and international organizations doing good (which I believe you should support year round!). Not sure where to start? Here are some areas to explore with what you should consider when making your donation or purchase. Plus some inspiring organizations to start with. Business leaders will hear about specific issues impacting the expansion of equitable small business growth and entrepreneurship in Detroit. The Detroit Economic Growth Corporation, a leader in economic development in Detroit, is working with non-profit Challenge Detroit on innovative ways to expand equitable small-business growth and entrepreneurship in the city. The Torch of Wisdom Foundation (TOWF) will host its 7th Annual “Honoring Local Heroes: Changing Tomorrow Today” awards banquet on Friday, November 3, 2017. The “Black No-Tie Awards” affair will recognize those who have worked to improve communities on the local, state and national level. All finalists will be present during the awards banquet and will learn during the ceremony who has been selected as the 2017 recipients. Executive Director, Deirdre Groves and Current Fellow, Michael Swafford share information about Challenge Detroit's 2017-2018 Fellowship application. There are a lot of remarkable things about Ezekiel Harris. Not long ago Challenge Detroit was just spark of an idea to get young people to come to Detroit – and stay here. The idea turned into reality after a lot of hard work and persistence. It’s now in its fifth year, and every year has attracted 30 of the best and brightest innovative thinkers to live, work, play, give, and lead in metro Detroit for one year. 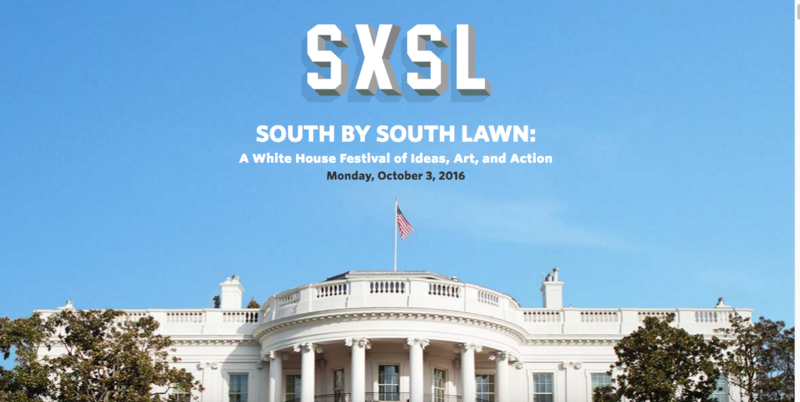 On Monday, October 3, he’ll build on the spirit of that call by hosting South by South Lawn , a White House festival to celebrate the power of civic participation and to rally entrepreneurs, creators, and organizers around tackling these challenges and shaping our society for the future. A Glen Carbon resident and EHS graduate has been selected to participate in Challenge Detroit, a yearlong fellowship. Andrea Stegeman just completed her Master’s Degree in Architecture at the University of Nebraska–Lincoln after earning a Bachelor of Architecture from SIU Carbondale. Out of hundreds of applicants, Ashland’s Lauren Strauss was selected as one of only 43 individuals from across the country to participate in Challenge Detroit, a yearlong fellowship focused on revitalizing the city of Detroit. An Orion Township woman has been selected as one of 43 people across the country to participate in a yearlong fellowship program helping to revitalize Detroit. Claire McCarthy, of Plymouth, has been selected as one of 43 Fellows to participate in Challenge Detroit, a leadership and professional development program focused on attracting and retaining talent in Detroit in an effort to spur revitalization. McCarthy was chosen from hundreds of applicants to collaborate with individuals from all over the country and live, work, play, give and lead in Detroit. Year 4 Fellow Clare Lilek reflects on her experiences in Detroit and finding a sense of purpose. The opportunities for longtime and new Detroiters to make an impact in the city are abundant. But how do you catch the attention of both people who grew up here and understand the issues facing the community, as well as those from other parts of the country who only know Detroit from news headlines? Challenge Detroit is a leadership development program aimed at attracting and retaining talent. The program is now accepting applications for its 2016-2017 class of Fellows--with a new twist. When Marshalle Montgomery got a call in 2012 from the Institute On Higher Awesome Studies, asking her to become a trustee of the Awesome Foundation Detroit, she thought it was a prank. Detroit's billionaires may capture the headlines, but they are only part of the story of Detroit's future. This is a city of doers making outsized impacts with limited resources. Meet eight small organizations that make the city a better place to live. Current college students and aspiring entrepreneurs are invited to attend this season’s edition of Live.Work.Detroit. on Friday, October 24 at St. Andrews Hall in Detroit from 2:00 until 8:00 p.m.
At Challenge Detroit we’re getting ready to introduce a new group of Fellows who will spend a year living, working, giving, playing and leading in and around the city. We’re looking forward to sharing our perspectives on the city as we work to help strengthen the region! Detroit has developed innovative solutions to attract and retain young talent. Challenge Detroit, a leadership development and training program, selects approximately 30 fellows each year to work for local host companies, volunteer in community service projects, and experience the culture of Detroit. Challenge Detroit, a nonprofit social impact program that attracts and retains talent in the greater Detroit area, announced its 33 Year Three fellows. This year's group includes 16 fellows from Michigan and 17 from states including Alabama, California, Illinois, Indiana, Iowa, Kentucky, Minnesota, New Jersey, New York, Ohio and Pennsylvania. More than 850 people applied for the positions. It’s the third class of the program’s Fellows project. The addition of this new class of 35 brings the total participants in the program to almost 100. The new fellows are from Michigan and across the U.S. Challenge Detroit is welcoming its third cohort of fellows this month, which includes a few more fellows than previous classes. "We're really focused on connecting our fellows with the community," Danner says. Challenge Detroit is welcoming its third cohort of fellows this month, which includes a few more fellows than previous classes. Among the new companies participating in the Challenge Detroit program areCampus Commandos, Penske, and Clark Hill. Fellows will also join firms that have been participating in the program throughout its first three years, such as DTE Energy, Hello World, and Team Detroit. One of the most innovative social media movements has also been created in Detroit. Challenge Detroit, a nonprofit social impact program that attracts and retains talent in the greater Detroit area, announced its 33 Year Three Fellows. During their year in Detroit, fellows will share their stories through blogging, video, and social media platforms. It has attracted over 100 of the most talented graduates in the country, from 17 states, to Detroit. DETROIT — Challenge Detroit, a nonprofit social impact program that attracts and retains talent in metro Detroit, announced its 33 Year Three Fellows. They come from Michigan and across the country with 16 from the state and 17 from states including Alabama, California, Illinois, Indiana, Iowa, Kentucky, Minnesota, New Jersey, New York, Ohio, and Pennsylvania. The 2014-2015 class will bring the program total to nearly 100 Fellows living, working, playing, giving, and leading in Detroit. For the second consecutive year, PM Environmental Inc., signed on to be a host company for Challenge Detroit. The annual leadership program seeks to entice the brightest young minds to live, work, and contribute to the city. In addition to supporting Detroit, the program also provides benefits for the companies that sponsor its participants, or Fellows. A group of five women are putting a Detroit spin on an international recipe for vodka. Keeler, 25, works at the United Way for Southeastern Michigan and is a Challenge Detroit Fellow. She serves as a visual content specialist, and will manage branding and marketing for Our/Detroit. These programs — the Detroit Revitalization Fellows, Venture for America, Challenge Detroit and others — over the past three years have matched more than 100 young people with companies and nonprofit organizations that put their talents and energy to use. Detroit has reached a tipping point and is re-discovering and re-imagining its economic path. City-regions compete with each other on a global scale. In order to compete, cities have the arduous task of developing and articulating their economic advantages and competitiveness. The economic specialization a city pursues impacts the opportunities of residents working and living in those cities. Programs such as Detroit Revitalization Fellows and Challenge Detroit are providing leadership training for residents returning home to Detroit or moving there for the first time. Marketing senior Amanda Gettgen recently applied to be a fellow for Challenge Detroit. The one-year program allows individuals to spend a year in Detroit, working one-on-one with a host company and doing service projects for several non-profit organizations. Gettgen has made it past the first two phases of the Challenge Detroit’s application process. Elizabeth Machesky (WCAS12) of Detroit was selected to participate in Challenge Detroit, a yearlong urban revitalization program focused on attracting and retaining talent in the city. The program allows young leaders to work at top regional companies, while spending one day a week collaborating with area nonprofits to address regional challenges. She is working as a project coordinator with the partnering host company, Hello World (formerly ePrize). The March 28 event is being co-hosted by D:hive and MEDC. Participating students will have the opportunity to network with a wide range of Detroit employers including Detroit Medical Center, Playworks, Quicken Loans, American Axle, and Shinola, among others. The event will include keynote speaker Marlowe Stoudamire from the Skillman Foundation, a panel discussion with some of Detroit’s young leaders from Detroit Young Professionals, Challenge Detroit and ChalkFly, networking, and a tour of some of the exciting small businesses, restaurants, museums, and affordable places to live. It's not the kind of "saving the world"" environmentalism I thought I wanted to do, but it's a very practical application of what I studied in school, Balzer said. Balzer is also helping to establish a downtown presence for the metro area-based firm, something the Challenge Detroit program is eager to support. What Anna's doing is what we really hope our fellows can do through the program, Challenge Detroit director Deirdre Greene Groves said. Having companies in the region is awesome, but we're also excited when our fellows can be part of an organization's movement toward the city. Challenge Detroit, a leadership and professional development fellowship that pairs 30 participants from across the country with Detroit-based employers in every industry and sector. Fellows become immersed in Detroit's social scene, volunteer opportunities, and leadership and networking events. Challenge Detroit is accepting applications through March 9, and is an excellent prospect for graduating students looking to jumpstart a career while making a difference in the city. Challenge Detroit is seeking its third class of fellows to "live, work and play" in Detroit. The program matches 30 fellows with host companies where they'll work four days a week, and with nonprofits where they'll work on community-service projects. Challenge Detroit is accepting applications for its third year. The deadline is March 9 for the 2014-15 cycle, which begins in September. We felt that Challenge Detroit was a great initiative to bring students and aspiring young talent into the city of Detroit to help revitalize the city of Detroit, said Ryan Pasquali, marketing director at Brooks Kushman. Challenge Detroit is launching a nationwide search for people to come to Detroit for a yearlong fellowship as members of its third class. The program places Fellows with companies such as General Motors Co., CBS Detroit Radio, Detroit Lions, United Way of Southeastern Michigan and Crestmark Bank. The incredibly bright, ambitious and innovative thinkers we draw through Challenge Detroit have the potential to transform the city in lasting ways," says Deirdre Greene Groves, executive director. The response has been overwhelming, and we can't wait to meet the city's next set of future leaders. Challenge Detroit is now taking applications for its third class of fellows, but also has some interesting statistics to show off from its first class. Of the fellows in the first class, 90 percent stayed in the region. A vast majority of them also kept working with their host employer after the fellowship was up. Five of the fellows from the first class have started their own business or are in the process of doing. Bridge Magazine is charting Detroit's path. Their most recent story features alumni Fellow Betsy Berens, and current Fellow Tia Hodge who both echoed that "...any gains in the city must extend into the neighborhoods where the pain is felt most acutely." Deirdre Greene Groves is receiving a Distinguished Leadership Award from the Michigan Business Professional Association (MBPA) for her work as executive director of Challenge Detroit. I'm thrilled to be recognized by the MBPA, Groves said in a statement. I count many past honorees as inspirations, friends and colleagues, so to share my experience and learn from others is an honor. Challenge Detroit has that altruistic vibe of Teach For America and the Peace Corps, and that's probably why it attracted 1,600 applicants in its first two years of operation. They're Ivy League graduates, urban planners, artists and MBAs, and they're coming from around the world. "Great things come out of adversity, and that's what's happening here," Mosher says. Efforts such as Challenge Detroit and other initiatives from leading organizations in the greater Detroit area, will guarantee a brighter future for the women in our community, the city of Detroit, and for ourselves. "I recognize the importance of connecting our next generation of female leaders with the leadership and entrepreneurial opportunities found in Detroit" says Executive Director Deirdre Greene Groves. Since early November, a group of 31 fellows with a program called Challenge Detroit have been partnering with us to address topics like bike safety, bicycle infrastructure and multi-modal transportation. Meiyi Cheng '13 was selected as one of 32 fellows, from a pool of 700 applicants, to participate in Challenge Detroit, an urban revitalization program focused on attracting and retaining talent in Detroit in an effort to spur revitalization. I'm excited to be part of this great city and to work with and learn from many talented and passionate people, said Cheng. Challenge Detroit is a revitalization project, bringing a group of young Fellows from various backgrounds to live, work, play, and give in the Motor City. Now in the middle of its Year 2 Program, Challenge Detroit is playing a part in reversing the loss of young talent that the Motor City has experienced in recent years. Challenge Detroit, basically a year-long crash course on city planning, is a new urban revitalization program that launched in the Motor City last year. The inaugural class of 30 fellows just wrapped up its first year in September, and the second class is currently digging in. Next City's Bill Bradley interviewed Deirdre Greene Groves, Challenge's executive director, and Jason Zogg, one of the inaugural fellows who now works for DTE Energy. The conversation centered around the city's strengthening core, transportation equity and Zogg's recent experiences with shifting procurement policies. In close collaboration with REVOLVE Detroit, the neighborhood retail initiative of the Detroit Economic Growth Corporation, and Challenge Detroit, a professional development program where young professionals live, work, play, and give in metro Detroit for one year, Impact Detroit launched the Livernois Community Storefront project this year with a two-day program. It opened on May 31st with a "Light Up Livernois" community event featuring a fashion show of local retailers as well as music and art. DETROIT - On October 23, Challenge Detroit, an urban revitalization program focused on attracting and retaining talent in Detroit, will officially launch its second year with 32 new Challenge Detroit Fellows during a celebration at DTE Energy's headquarters in the heart of the city. "More than 90 percent of Challenge Detroit's inaugural class is staying in Detroit, said Deirdre Greene Groves. We're excited to build upon this foundation with 32 new fellows, who we know will continue to make an impact in the community. Local economy: How do we lure, keep the young workers? "It's a shift in our thinking." Challenge Detroit started a fellowship program that places workers with a local company for one year. The fellows take part in monthly challenges helping local non-profits. "We're trying to change the narrative of Detroit" said Executive Director Deirdre Groves. Challenge Detroit is an initiative aimed at boosting the reputation and vitality of Detroit through "challenges" by young professionals. Beaumont's part is to host a fellow who will live, work, play, give and lead in Detroit for one year. Lawyer saw only opportunity when she applied to Challenge Detroit. "Detroit was a great place, is a great place and in the future will be an amazing place to be. More people should just come and visit Detroit and see what it's all about," she said. "I just knew I wanted to start my post-grad life in Detroit," (Fellow Melissa) Campbell said. "The Challenge Detroit Program brought things full circle for me. I was highly intrigued by the opportunity to revitalize a city by living, playing, working and giving back to Detroit." Indianola resident Miguel Davis has been selected as one of 32 Fellows to participate in Challenge Detroit, an urban revitalization program focused on attracting and retaining talent in the struggling former auto hub. Saad was one of 700 applicants, who demonstrated interest in the region and applied for Challenge Detroit, because he saw the opportunity to apply his intellectual capital and talent in helping to make a positive impact on the region. "I have always wanted a chance to work in the City, and I'm excited to share my creative ideas to help revitalize Detroit," said Saad. "I heard great feedback about the Challenge Detroit Program from a previous host company, and we were thrilled to be chosen to participate in this initiative in its second year," said President and Chief Operating Officer Mick Goik. "We feel it is important to be active in helping the communities in which we work, and this program provides a new and unique opportunity. We look forward to having Roy as part of the Crestmark family, and seeing the impact of Challenge Detroit." One of 28 young professionals who took a risk and joined Challenge Detroit in an effort to be a part of the revitalization of one of our country's most influential cities. I've had opportunities to listen to and speak with community leaders, new entrepreneurs and true Detroiters. Sep 3, 2013 by Africatown/Chinatown News Digest | Seattle's Africatown! A new entrepreneurial dynamic is based on new conceptions of reinvestment and redevelopment that include and benefit, rather than exclude and impoverish, Detroit's remaining 700,000 residents. That means networking reinvestment to community-based organizations, building on rather than bypassing the infrastructure that exists in the community, and maximizing the recirculation of capital inside the city. group of innovative, entrepreneurial thinkers, Challenge Detroit takes a significant step toward energizing our city's creative and professional core. Challenge Detroit is combining forward thinkers, problem solvers, responsible individuals, active learners, and unique personalities and placing them all into one room! I couldn't be more thankful or humbled to have the opportunity to work with creative, diverse, excited, and motivated people, said Rosemary Williamson, year two Challenge Detroit Fellow. One indicator of [Challenge Detroit]'s success is that many of the participating businesses and sponsors are holdovers from the first year, including MGM Grand Detroit. "I came here from the East Coast, because as an urban planner, I'm interested in opportunity," Jason Zogg says. "When I saw Detroit, I saw a huge amount of opportunity, almost a blank slate. I felt I could make a difference; that this was the place to be, and this was the time to be here." DETROIT, MI - Longtime Detroiters and relative newcomers to the city alike have high hopes for a town that once was a world leader in manufacturing and the automotive industry. They speak almost collectively of a Detroit "renaissance," and of wanting to be part of the city's comeback. DETROIT, MI - Thirty-three young adults found out this month they were selected from 700 applicants to spend the next two years of their life living and working in Detroit. A cynic might suggest that the summer of '13 hardly seems like an ideal time to start a professional development year in Detroit, but 33 new Challenge Detroit participants were picked because they're confident and resilient. Detroit is on the move! Detroit is attracting hip young people! Detroit is a beacon for venture capital! And oh, by the way, Detroit just became the largest U.S. city ever to file for protection from creditors under federal bankruptcy law. The BBC's Matt Danzico visits Challenge Detroit, a professional development program that chose 30 of "tomorrow's leaders" to live, work, play and give in and around Detroit for one year. Challenge Detroit has given incentives to 30 innovative thinkers from around the US - some who are Detroit natives - to live and work in the city. They also work one day a week on community projects. Meet ten people who will play a critical role in rebuilding the Motor City, a place abandoned by its residents, plagued with high crime, stuck with the nation's highest unemployment rate, and under the state's control. Yes, Detroit, the city that's much-maligned nationally for crime, corruption and the decline of American manufacturing. Problems do exist in Detroit, just like in any large metropolis. But the city has embarked on a solution called Challenge Detroit, a program designed to attract top-level talent to some of America's largest companies. The loss of promising talent has made a negative impact on Michigan's economy. Deirdre Greene Groves, founding executive director of The Collaborative Group, took notice of this problem and, with help from her partner Shelly Danner, created a program to retain and attract top talent in the state. Challenge Detroit is ready for round two of the year long fellows program 2013-2014! Challenge Detroit in partnership with the Michigan Economic Development Corporation's LiveWorkDetroit! This week on Street Beat, Host Rob Stone of WYCD takes an in-depth look at organizations who have plans to revitalize Detroit. Dr. George Swan III of Detroit Future City explains what's ahead for the city. DETROIT (AP) - Organizers have announced that the Challenge Detroit urban revitalization competition is back for a second year. Introduced last year, Challenge Detroit has taken the city by storm. It's a national initiative focused on revitalizing Detroit by retaining and attracting top talent that bring their intellectual capital to the city. And they're looking for their next class of 30 leaders from Detroit and across the U.S. Challenge Detroit recently received a $230,000 grant from the LiveWorkDetroit initiative of the Michigan Economic Development Corp. that will fund programming and recruitment for the upcoming class. Challenge Detroit Launches Search for New Crop of Community ‘Fellows’. Challenge Detroit is bringing in bright and promising professionals to Detroit to help push the city in the right direction. Challenge Detroit is again launching its quest to find 30 innovative leaders from across the Detroit region and the US to live, work, play, give and lead in. Yes, a growing and sometimes challenging triple love-between two Kalamazoo College graduates and the city of Detroit, between these two and their alma mater, and between these two: Leigh Ann Ulrey '11 and Sam Brennan '11. Twenty-nine young people are living in Detroit for a year as part of Challenge Detroit. Twenty-two-year-old Darin Gross says the city needs to fill vacant lots and get more people to move to Detroit. We have shared a few posts about Challenge Detroit, and have learned about many of the Challenge Detroit projects through our community bloggers. Through these relationships we've learned that we all share a similar vision, to contribute to the Detroit revitalization efforts. Challenge Detroit is about uniting a group of innovative, entrepreneurial thinkers to help with energizing the city of Detroit's creative and professional core. Ali Beydoun is a recent graduate of the University of Michigan and current Challenge Detroit participant. While at the University of Michigan, Ali earned his Bachelor of Science degree with Distinction in Brain, Behavior and Cognitive Science. Ali is from Dearborn. Challenge Detroit is a group of 30 of the best and brightest young people working to solve some of the problems facing Detroit. Betsy Berens, 22, is a part of this elite group working to solve problems like how to make fresh food more available to Detroiters and how to retain international students in the city. An innovative program has 30 young people working and living in the city of Detroit hoping to make some positive changes. The group Challenge Detroit is working at the International Institute of Detroit, which encourages young people to work on Detroit's problems. This month's challenge focuses on increasing retention and attraction of international talent to Detroit. Meet Deirdre Greene Groves. Executive Director, Challenge Detroit. Challenge Detroit, an outgrowth of The Collaborative Group, is a new leadership and professional development program aimed at retaining and attracting professional talent through a yearlong fellowship for 30 young adults in Detroit. By sponsoring 30 Challenge Detroit Fellows to live in the city, work with Detroit area businesses, play around town and give through monthly team challenges with local nonprofits, their goal is to help revitalize one of the most significant cities in the world. Detroit is a worldwide symbol for industry's rise and fall. It's known for making cars and too often, for making headlines about terrible blight and crime. If you're an entrepreneur you know Detroit as something else: An opportunity. After nearly six months into the Challenge Detroit initiative, what are participants saying about their efforts to revitalize the city? And what's it been like so far? Those are just a couple of the questions posed to Challenge Detroit Fellow Ben Hershey, a native of Columbus, Ohio, by WWJ's City Beat Reporter Vickie Thomas. I'm pleased to announce that Asia G. from Detroit, a Challenge Detroit Fellow, has won our contest with her submission, "2030 Grammys & NFL Super Bowl Fight Over Detroit for the Same Weekend." DTE Energy is partnering on a very exciting, year-long initiative called Challenge Detroit focused on energizing the city's core of creative and talented professionals to live in, work in, and generate innovative and impactful solutions to pressing needs of Detroit. The Atlantic magazine recently ran a thought-provoking article "Detroit Issues a Challenge to Save the City" on the program. Challenge Detroit is steaming along in creating Motor City advocates by immersing team members in the city's culture. The privately funded program, in which 30 people live and work in Detroit for one year, finished the first of 10 required team "challenges" last month. Challenge Detroit, an urban revitalization project bringing together 30 innovative leaders from the City of Detroit and across the country, to live, work, play and give in the region, has partnered with the Michigan Economic Development Corporation (MEDC) and its LiveWorkDetroit! (LWD) initiative. The MEDC recently announced a $230,000 grant to help fund programming initiatives for Challenge Detroit. When one thinks of Detroit I'm pretty sure good eats aren't in your top three things that come to mind. Well I'm here to change that because personally, "good eats" would fall into my number two spot. Now keep in mind I'm not referring to the, "Greater Detroit Area" or the, "Metro Detroit Area" I'm talking DETROIT, MICHIGAN! Can 30 creative thinkers make a difference to a city in need? A Detroit economic and entrepreneurial development organization called The Collaborative Group is betting on it. Challenge Detroit has received a $230,000 grant from the Michigan Economic Development Corp to help the nonprofit to continue to help innovative young people stake a claim in the Motor City. "This will close a huge gap for us this year," says Deirdre Greene Grove, executive director of Challenge Detroit. Challenge Detroit brings in a couple dozen recent college graduates to Detroit each year, giving them jobs and coordinating opportunities for them to live, work and play in the city. The nonprofit pairs the fellows from each class with local employers and provides them with a living stipend. A month has buzzed by and I continue to love every moment. Whether I am hanging out in my 93 year old apartment building in Midtown Detroit, biking around the city to participate in the unlimited weekly events, or working at my very exciting host company, Billhighway, I love it all and could not be happier about my first month with Challenge Detroit. 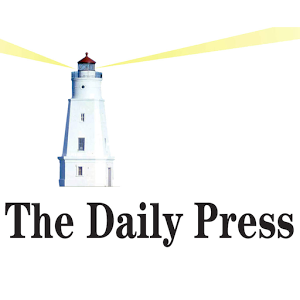 The mission of the MEDC is to help businesses grow in Michigan through a variety of programs and particularly to help Michigan businesses find the talent they need to prosper here," said Michael A. Finney, MEDC president and CEO. "Challenge Detroit is bringing innovative young talents who we expect to positively impact the greater Detroit region as they work to encourage others to see Michigan as a great place to work and live. Challenge Detroit, a Birmingham nonprofit that recruited 30 leaders from across the country to live and work in Metro Detroit for a year, is receiving a $230,000 grant from the Michigan Economic Development Corporation. The two groups announced the partnership Thursday night and are making Challenge Detroit part of the private-public MEDC's offshoot LiveWorkDetroit! initiative, which promotes Detroit as a place for college graduates and young professionals to live and work. "We are pumped," said Deirdre Greene Groves, Challenge Detroit's executive director. "Partnering with the MEDC is an honor." Doyle Mosher, known to most as a luxury home builder is, along with his counterpart Deirdre Green, iterating with a new model to directly recruit and retain most useful human capital. Their venture has just recently brought close to 30 young folks into Detroit to live and work in the city, where they engage with partners on a series of community-focused challenges. Doyle and Deirdre, along with their team, managed to get 30 different employers to provide a good-paying job to a newly arrived fellow and to do so mostly sight unseen. This is an example of the willingness of many institutions to support big-thinking, important endeavors. As Daniel Burnham, architect and urban planner, once said, "Make no little plans," - that's something my co-founder, Doyle Mosher, and I believe. Challenge Detroit is a big idea, but one worth the challenge. After months of planning, preparation and prayer, I made it to the most sought-out program to hit the city of Detroit since the Big 3: Challenge Detroit! Challenge Detroit is a community-based initiative to attract tomorrow's leaders to Detroit in hopes of revitalizing the city. ePrize, the global leader in digital engagement, today announced that the company is participating in the AIESEC and Challenge Detroit programs as part of efforts to revitalize the city of Detroit and train young leaders. Starting today, ePrize welcomes new trainees including Kirstine Bernes from Denmark and Asia Gholston, a recent Michigan State graduate. What happens when you bring 30 talented individuals from around the country to live, work, play and volunteer for one year in the city of Detroit? Well, we're about to find out, as this week officially kicks off a new initiative and program called,Challenge Detroit. As we move into the Detroit community, we have recently learned that we are not alone! There are 30 individuals that have also joined the Detroit community, through the Challenge Detroit project. These 30 participants were carefully selected out of over 900 applications to move to Detroit for one year. The participants are part of a community-wide revitalization effort that will live, work, play and give in the great city of Detroit. While the diverse staff at Mango Languages hails from cities all over the globe, we are proud to call Detroit, Michigan our home and are thrilled to welcome Challenge Detroit participant Jared Berman to our team. Challenge Detroit is an urban revitalization initiative aimed at bringing together 30 innovative leaders from across the country to live, work, play and give in Detroit. DETROIT (WWJ) - Thanks to Challenge Detroit , the city has 30 new residents who live, work, and play in the Motor City. They'll also be giving back, too, through their volunteer work. Some new grads don't have much of a choice. If you want to be a screenwriter, it's got to be L.A. Those with the politics bug head to Washington, and petroleum engineers with instantaneous job offers go wherever the oil is flowing. Starting from an applicant pool of more than 900, the Challenge Detroit competition has chosen 30 of "tomorrow's leaders" to live and work in the city for a year. "These 30 participants will make a mark on our community and will be great representatives of Detroit," said Deirdre Greene Groves, executive director of Challenge Detroit. Detroit, meet 30 of the city's newest residents, the first class of Challenge Detroit. The nonprofit has selected the 30 winners of its first class, which will provide young leaders interested in improving Detroit with jobs and a rent stipend to live in the greater downtown area. Starting from an applicant pool of more than 900, the Challenge Detroit competition has chosen 30 of tomorrow's leaders to live and work in the city for a year. These 30 participants will make a mark on our community and will be great representatives of Detroit, said Deirdre Greene Groves, executive director of Challenge Detroit. Challenge Detroit is a collaborative effort by companies across Detroit to help attract and retain talent in Michigan. Not only do participants work in corporate settings, they also participate in projects to help revitalize the community. Thirty people from across the U.S. and Canada have been picked to take part in the inaugural Challenge Detroit program. The urban revitalization project's goal is to help revitalize the Detroit region by attracting and retaining innovative leaders who will bring their intellectual capital and talents to the city. Albion College graduate Caroline Dobbins says her experience with Caster Concepts, her family's business in Albion, gives her an understanding of how a vibrant Detroit will change the state of Michigan. Her vision of a renewed, thriving and exciting Motor City helped her become one of 30 winners in the Challenge Detroit competition. Caroline Dobbins, a 2012 Albion College graduate, is one of 30 winners in the Challenge Detroit competition. For one year starting in September, Dobbins, who is from Albion, and the other winners will be employed with partner companies while also working together in team challenges geared toward benefiting Detroit. A list of more than 900 applicants has been whittled to 30 winners for the urban revitalization project known as Challenge Detroit, which pays participants to live in the city for a year. Challenge Detroit, an urban revitalization project bringing new talent to Detroit, has selected 30 participants from throughout the United States to participate in its inaugural program. The new, national initiative focuses on revitalizing the Detroit region by retaining and attracting innovative leaders who will bring their intellectual capital and talents to the city. "The Jewish community has a strong history of leadership in Detroit, and it is incumbent upon us as Jewish leaders to retain and recruit the next generation of leaders." Detroit is leading the rust belt pack in trying innovative concepts to solve their urban economic challenges. One such effort is called Challenge Detroit. Challenge Detroit will invite 30 of tomorrow's leaders to live, work, play, and give in and around the Detroit area for one year. Challenge Detroit Finalists Issue Challenge To Detroiters: Love Your City! It is often said that Detroiters are even more down on their city than some outsiders. City residents who feel that way can learn from a group of 66 finalists in the Challenge Detroit competition. While some Detroiters are packing up and moving out, these visionaries are fighting for one of 30 spots to live, work and play in Motown for a full year. DETROIT (WJBK) -- "I'm an urban planner and a transportation planner, and I also have been focusing on like electric vehicle infrastructure," said Jason Zogg. Now this 26-year-old from Rhode Island wants to put his skills to work in Detroit. "I see Detroit as kind of a blank slate, a huge opportunity that has a massive amount of potential," he said. "To those who scoff at the idea of a revitalized Detroit, I would remind them of what aviator Amelia Earhart said: 'Never interrupt someone doing something that you said can't be done.'" - Sergio Marchionne, Chairman and CEO of Chrysler. It has been a stellar week as far as I'm concerned. Sergio Marchionne announced that he, along with 70 other Chrysler employees, will move to downtown Detroit. Dan Gilbert pledged his support for United Way publicly. And Challenge Detroit kicked off a new phase with candidate interviews. Challenge Detroit said Friday that it had selected 66 finalists in the competition to work, live, play and give for a year in Detroit. The selections were made based on a review from Challenge Detroit judges, the online community vote, and the input of Challenge Detroit's host companies. Hope College senior Aida Alvarado of Holland is one of 60 finalists advancing to the next round of Challenge Detroit, an initiative to help revitalize the city by attracting innovative young professionals to the community. Challenge Detroit is an initiative that is right up our alley. Deirdre is the executive director of this amazing push to recruit 30 of the brightest and best young minds to come Live, Work and Play in Detroit for a year. They will work for Detroit companies (including Quicken Loans) for a year, receive help with housing, and work on group challenges to help solve problems in the community with the other participants in the program. Challenge Detroit, a contest that will bring together 30 of "tomorrow's leaders" to live and work in the city for a year, today wraps up a communitywide vote on Facebook to narrow 100 contenders to 60 semifinalists. The Facebook voting page displays videos and written statements. So far, more than 15,000 votes have been cast. Voting ends today. While the Mango team hails from all over the globe, we are proud to call Detroit, Michigan home. Mango is excited to be involved in Challenge Detroit, an effort aimed at attracting and retaining young, innovative talent in our home town! Out of over 900 applicants, 30 young professionals will be chosen to live, work, socialize and give back in the city of Detroit. We are excited to welcome a lucky candidate to the Mango team in September! A new incentive program, Challenge Detroit, is giving 30 participants an amazing opportunity and 'jump start' to living and working in Downtown Detroit. Over 900 applicants from across the country have applied and now the voting public process has begun- the applicants have been narrowed down to the top 100. The chosen 30 ones will receive jobs with different companies that are involved which include: Team Detroit, Compuware, Quicken Loans, Beaumont Health Systems, Urban Science, and DTE Energy, to name a few, in addition to a $500 monthly housing stipend. Votes on Facebook through Friday, April 13, will help Hope senior Aida Alvarado of Holland as she competes in Challenge Detroit, an initiative to help revitalize the city by attracting innovative young professionals to the community. Challenge Detroit has narrowed its applicant list to 100 young people and it wants your help whittling it down from there. The talent attraction program received 900 applicants for its initial year where a few dozen young people will be given living grants, jobs and social opportunities in Detroit in an effort to get more talented leaders to sink roots in the city. The organizers narrowed that initial list to 100 semi-finalist and wants to social media users to help determine which ones make it to the final selection process in May. DETROIT - The folks behind Challenge Detroit, the online effort to bring 30 talented entrepreneurs to Detroit to live, work, play and give in the city, need your help to pick about 60 finalists. Challenge Detroit received more than 900 applications from talented individuals throughout the world, who want to live, work, play and give through Challenge Detroit. This week on Street Beat, host Syma Chowdhry continues our two-part look at organizations who are helping rebuild Detroit. First Sandy Baruah, CEO of the Detroit Regional Chamber, talks about the Chamber's efforts to encourage business growth and its upcoming Detroit Business Conference. Then, Deirdre Greene Groves, Executive Director of the Detroit Challenge, and Matt Mosher, Co-Founder and CEO of hiredMYway.com, discuss how the Detroit Challenge will encourage young leaders to live and work in the city. Challenge Detroit, a contest that will bring together a group of "tomorrow's leaders" to live and work in the city for a year, is narrowing down more than 900 applicants to 30 winners. Those chosen will be paid a $30,000 salary to work at partnering Detroit-area companies and a $500-a-month stipend to live in Detroit. Forty volunteers are whittling the applicants to 100 contenders, said Deirdre Greene Groves, executive director of Challenge Detroit. Challenge Detroit, a contest that will bring together a group of "tomorrow's leaders" to live and work in the city for a year, is narrowing down more than 900 applicants to 30 winners. "Every big city has big challenges, and the complex ones can be daunting. Few are brave enough to confront them, and many who do get mired in their complexity. Deirdre Greene Groves has spent the last four years thinking about one: young talent leaving metro Detroit." The best way to get talented people back in Detroit -- is to challenge them. I recently got to sit down with Deirdre Greene Groves, executive director of The Collaborative Group, to talk about Challenge Detroit; a unique program beautifully thought up to catalyst success for the city. Their mission is simple: to attract and retain talent to Detroit. But how they are doing it is the real story. Challenge Detroit has extended the deadline to apply for its one-year entrepreneur internship until March 25 to give college students on spring break time to apply. So far, Challenge Detroit has received 700 applications from Michigan and several other states, as well as some foreign countries, said executive director Deirdre Greene. The city of Detroit knows the power of entrepreneurship and now they're calling on leaders of tomorrow to help run the city with original ideas. 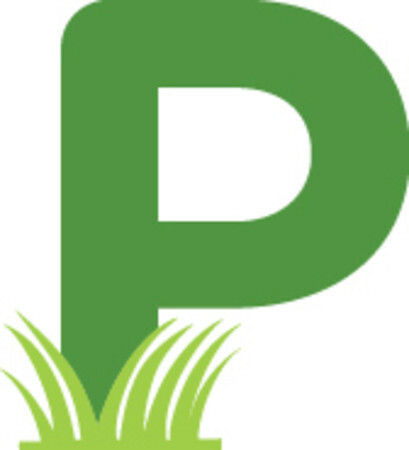 The new private sector initiative Challenge Detroit is hosting a competition to select 30 leaders from across the country to assist in developing and rejuvenating the Motor City. More than 500 people have started the application process for Challenge Detroit, a year-long program that will see 30 energetic, innovative thinkers live, work, play and give in Detroit. About 600 people have submitted applications for Challenge Detroit, a reality-show style contest that will bring 30 young professionals to Detroit to work and live for a year. About 600 people have submitted applications for Challenge Detroit, a reality show style contest that will bring 30 young professionals to Detroit to work and live for a year. Winners will be given a $30,000-a-year job and a $500-a-month rental subsidy. All 30 winners will be housed in a yet-to-be-announced Midtown apartment building. It's called the Detroit Challenge and it's an effort to get 30 young leaders to live, work, play and give in Detroit for one year. One of the citys challenges resulting from its high unemployment is the exodus of skilled talent to other urban cities across the country. The city has answered this challenge with the Challenge Detroit project. This project is designed to attract and retain young professional talent in an effort to restore the city to a state of creativity and entrepreneurship. The project requires participants to lend expertise in exchange for a compensation package that includes salary and housing. More evidence that the business community is way ahead of both the public and policymakers from both parties on the essential role a vibrant city of Detroit must play if the region and state are to be successful economically. The latest terrific private sector initiative is Challenge Detroit from the Collaborative Group. "If you want to do what everyone else is doing, move to New York, move to Chicago," said Mike Kalis with MarketPlaceHomes.com. However, if you really want to make an impact come to Detroit. That's the message spreading across the country, and entrepreneurs like Kalis are searching for people who are up to the challenge." "Can paying recent graduates to work and play in Detroit infuse the city with extra creativity? Challenge Detroit is banking on it. It's hoping to lure 30 graduates with entrepreneurial dreams and a willingness to muck in and get their hands dirty to revitalize troubled Detroit." "Challenge Detroit has secured half of its funding for the next two years thanks to a $500,000 donation from Credit Acceptance Corporation's Chairman and Founder, Donald A. Foss. 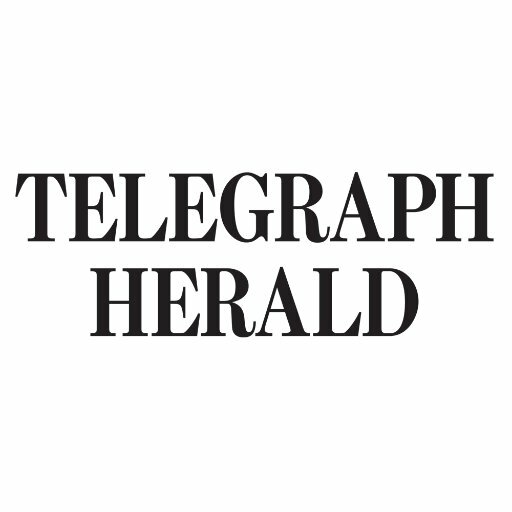 The nonprofit is also finalizing details with a local partner that should pave the way to launch its talent attraction grant program this summer." "Deirdre Greene Groves is the Executive Director of an exciting new project called Challenge Detroit. The project, along with her work at the Collaborative Group, is focused on recreating Detroit as an entrepreneurial capital. Check out her thoughts on placemaking and why she believes so passionately in Detroit's future." "Challenge Detroit, a national initiative focused on revitalizing Detroit by attracting young entrepreneurs to the city, said Thursday that Credit Acceptance Corp. chairman and founder, Donald A. Foss, has personally pledged $500,000 to the Challenge Detroit effort." "Although Deirdre Greene Groves grew up in rural Highland Township, she has always had a passion for the history and future of Detroit. Now as the executive director of The Collaborative Group in Birmingham and its Challenge Detroit initiative, Groves has the opportunity to be an integral part of the revitalization efforts of the city she loves." "Challenge Detroit, a reality-show style contest that will bring 30 young professionals to live for a year in Detroit, has received a $500,000 sponsorship -- enough to let the program kick off this fall." "The Collaborative Group, a group of Metro Detroiters focused on improving the city of Detroit, plans to give out 30 grants to young, innovative people with entrepreneurial aspirations this summer as part of its Challenge Detroit program." "The Challenge Detroit program for young entrepreneurs is open for business and accepting applications." Have You Accepted The Challenge Detroit? 30 Jobs For 30 Grads! "The Collaborative Group, a Birmingham-based nonprofit dedicated to fostering entrepreneurship, Monday announced the launch of Challenge Detroit, a national initiative aimed at helping to revitalize the Detroit area by attracting innovative, entrepreneurial thinkers to bring new ideas and contribute their intellectual capital to the community." "Challenge Detroit is accepting applications country-wide to select 30 innovative leaders for its 2012 program." "There are a few ways you could look at Detroit -- you could taint it as an impossible comeback, or you could see the opportunity that lays within the city limits. For Deirdre Greene Groves, she is of the mindset that if you create the opportunity, they will come." "Challenge Detroit will bring approximately 30 of the country's best and brightest young people from every intellectual discipline, whether attorneys or artists, doctors or financiers, engineers or educators, either to the Detroit-area or keep them here. Here's how it works." "Challenge Detroit is looking for 30 innovative leaders from across the United States to live, work and play in Detroit. When the year is over, they hope these men and woman become entrepreneurs and goodwill ambassadors for Southeast Michigan." The financial incentives to come to the Detroit area kept rolling in Wednesday as a Birmingham nonprofit launched a program to pay for 30 of "tomorrow's leaders" to live and work in the Motor City for a year. "34 year old Vincent Thomas is a successful entrepreneur. He's the founder and CEO of Billhighway, a financial technology company in it's 13th year of operation. Vincent started the company in his apartment while he was still attending Eastern Michigan University. He says the company will remain in metro Detroit as long as he's in charge. Vincent also wants to see other young, creative people make their mark in Detroit. That's why Billhighway is part of a new program called Challenge Detroit, which is looking for the best and the brightest." "An Oakland County native is working to attract and retain young professionals to metro Detroit. "I think this is where my heart really is, and I never really knew it," said Deirdre Greene Groves, the executive director of Birmingham's Collaborative Group." "[The Collaborative Group is] launching an initiative, Challenge Detroit, they hope will lure the nation's and state's most talented young people to either stick around or come here for a year, betting they'll fall in love with the city and find a sense of mission that keeps them around long-term." "Detroit is attracting more young professionals but still has many of the same problems blocking its long-term success" a dysfunctional school system and public safety problems. That was part of the discussion Thursday during a WWJ Unwired Series program at Lawrence Technological University."